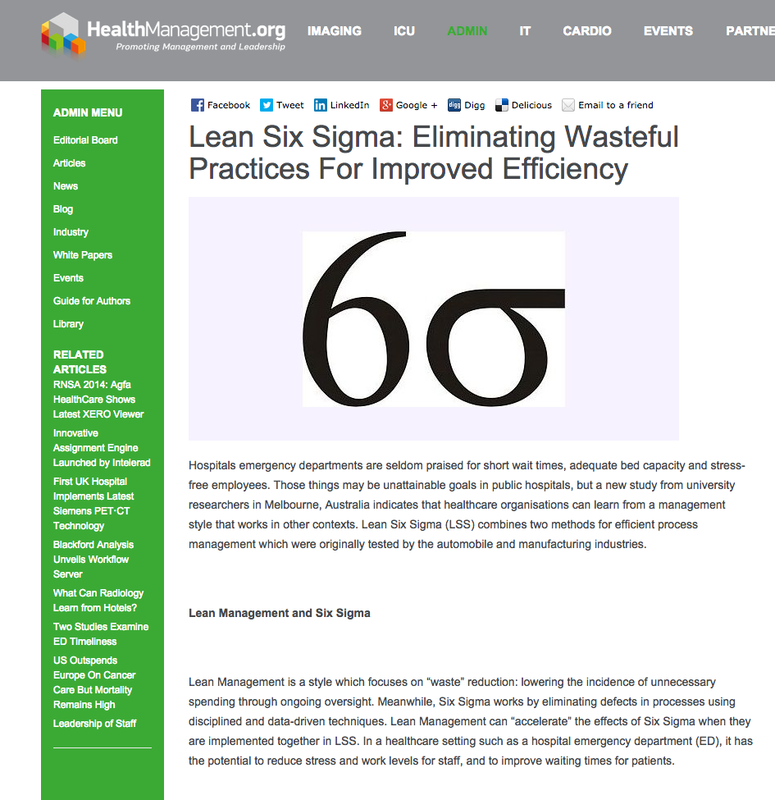 This article gets it really wrong: "Lean Six Sigma: Eliminating Wasteful Practices For Improved Efficiency"
"Lean Management is a style which focuses on “waste” reduction: lowering the incidence of unnecessary spending through ongoing oversight. Meanwhile, Six Sigma works by eliminating defects in processes using disciplined and data-driven techniques." It's terribly incorrect to say that Lean focuses on reduced spending. It's also wrong to imply that Six Sigma is the only methodology that focuses on reducing defects. Lean works to reduce defects. Lean is disciplined and data-driven. Yet another "Lean Six Sigma" article that really botches it.